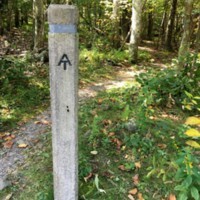 There have only been eleven murders since the early 1970s, making the Appalachian Trail seem relatively safe. Most considered the outdoors to be an escape from soicety, and an escape from the dangers that came with civilization. However, somewhere between May 24, 1996, and June 1, 1996, Julianne Williams and Laura Winans were brutally murdered along the Appalachian Trail in Virginia's Shenandoah National Park. This murder was not only signifcant because it took place in a relatively popular location, but because the victims were also lesbian lovers.